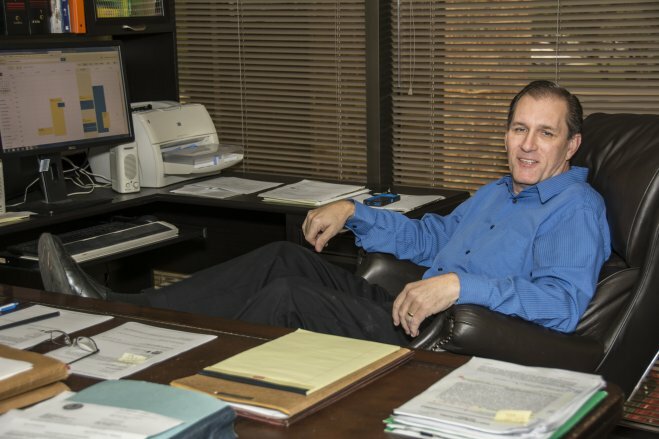 Winningham, Stein & Basey is Oklahoma's oldest premiere immigration law firm. The firms three principle attorney’s offer expertise gained through more than 85 years of combined experience in the field of U.S. Immigration Law. All three members of our professional paralegal staff received law degrees from their native countries prior to joining our firm. 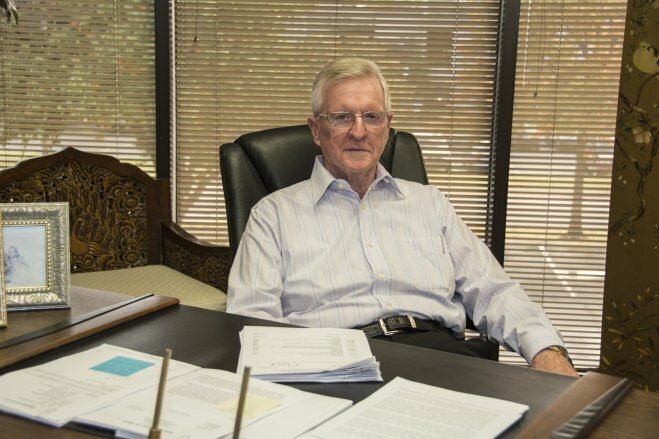 Mr. Winningham became the first Oklahoma lawyer to establish an immigration law practice in the late 1960s and has devoted the entire resources of the firm exclusively to immigration related legal matters since 1983. Mr. Stein learned immigration law under Mr. Winningham. 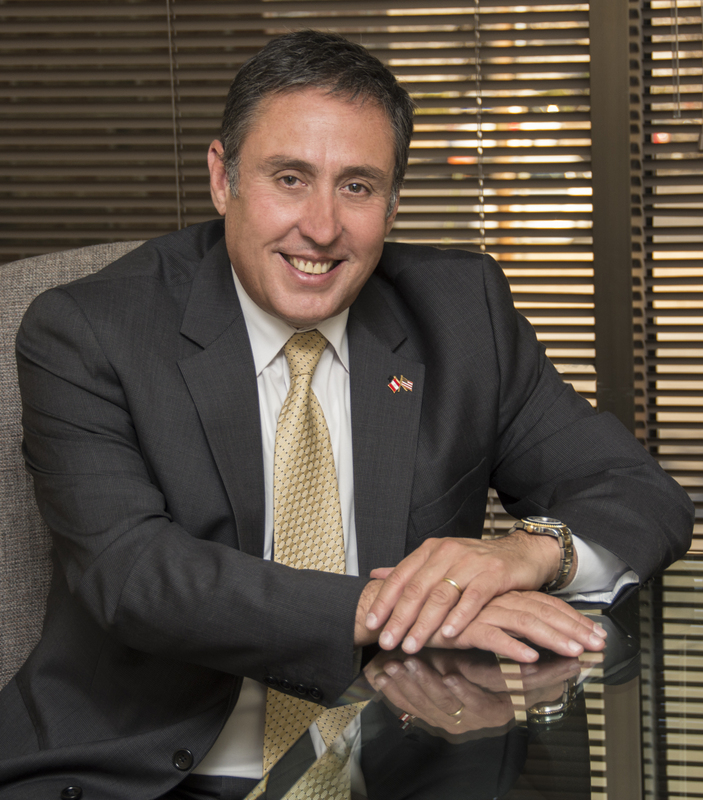 He has been recognized by his peers nationally as an expert in his own right after practicing immigration law with the firm for more than 28 years. Ms. Basey’s clients have a great appreciation for her fluency in Spanish. 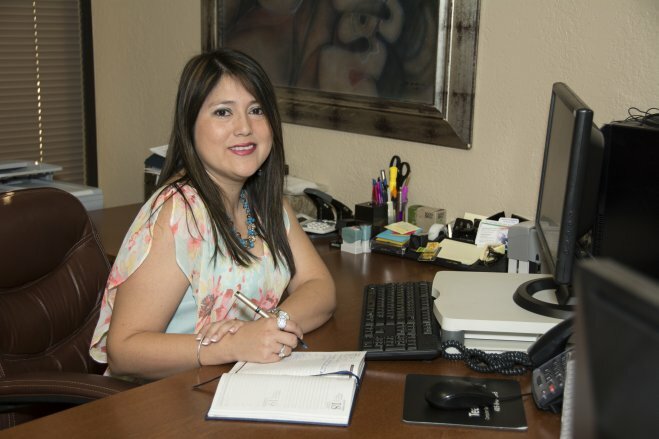 She was appointed by the Federal Government of Mexico and currently serves as Consulting Attorney for their Consular offices in the State of Oklahoma. I believe you have been such a blessing, not only for me, but for my entire family. I know I have asked the same questions over and over again, yet you never refuse to give me the most adequate answers. ... Once again, thank you. President Hargis of Oklahoma State University referred Mr. Winningham to me. He has been highly recommended by the President and his wife. His professionalism is impressive. I recommend all interested parties to at least have a phone conversation with him to check out his advice. I am more than lucky to work with him. Personable, Expert, On Time. We deeply want to say thank you to you ... and your legal team for the great job on handling my PERM case. We are really satisfied with all aspects of your legal service. I had worked in the US for over 4 years and had expected my company to process my permanent residency paperwork. However, when the time for renewal approached and I asked about the permanent residency status, I was informed that it was my responsibility. It was at this time that I found it appropriate to contact an immigration attorney for I was running out of time. After being referred by a friend to Winningham, Stein & Basey, I checked their record online and was impressed. 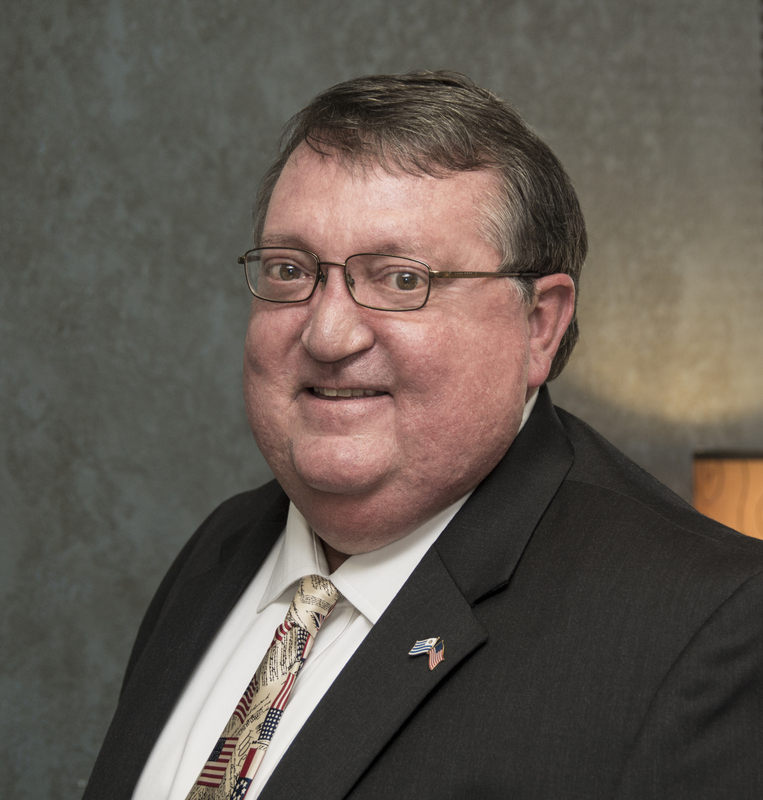 My first contact with Mr. Winningham was, as expected, very comforting and his office started on the paperwork immediately. The staff is very friendly and respectful. Most impressive was the fact that the fee I paid for their services was not anywhere close to what I had been informed of by other people. If you need an immigration attorney, I recommend Winningham, Stein & Basey for very good reasons. I have just had my first week of work at OSU and I think it's going to be a good three years! I just wanted to thank you ... for all your work on my behalf. Before meeting Mr. Winningham, I had hired another immigration lawyer who had been working on my case for over two years. The previous lawyer charged me a lot of money and, after two years, instead of receiving my green card, I got a notification of deportation. I talked to Mr. Winningham and in less than one year my deportation notice was cancelled and I received my green card. 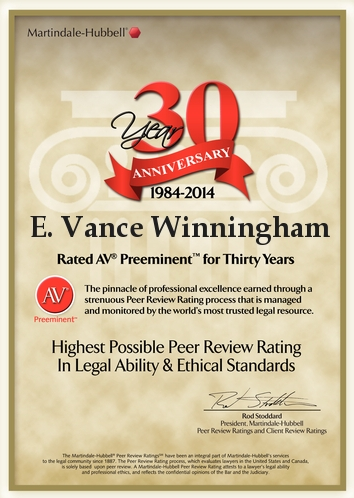 Mr. Winningham has always been very professional and knowledgeable. I cannot think of anyone better qualified to handle immigration issues. Surely, he is the best immigration lawyer that we have in this region. I cannot express how grateful I am for how diligently he has handled my immigration issues. I would definitely recommend him to anyone with similar problems. Juris Doctor, University of Oklahoma School of Law. Bachelor Degree, Oklahoma State University (History and Political Science). 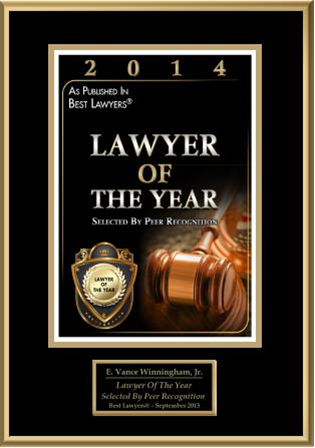 Selected as the 2014 Immigration Lawyer of the Year by his peers listed in The Best Lawyers in America©. Only Oklahoma immigration lawyer listed for more than 25 consecutive years in The Best Lawyers in America©. Only Oklahoma immigration lawyer to receive the highest possible rating (AV) for both legal ability and ethics from The Martindale-Hubbell Legal Directory for more than 30 consecutive years. Founder and administrator of a network of nationally prominent immigration lawyers. Oklahoma State University’s 2017 Distinguished Alumni Award. Member of the Founding Board of Trustees of the American Immigration Council, Washington, D.C.. Published numerous articles including An Overview of Pathways to the Green Card. Former Chairman of American Immigration Lawyers Association's (AILA) Tri-State Chapter for Texas, Oklahoma & New Mexico. Founder of Oklahoma’s oldest Immigration Law Firm(1971). Listed in The Best Lawyers in America©. 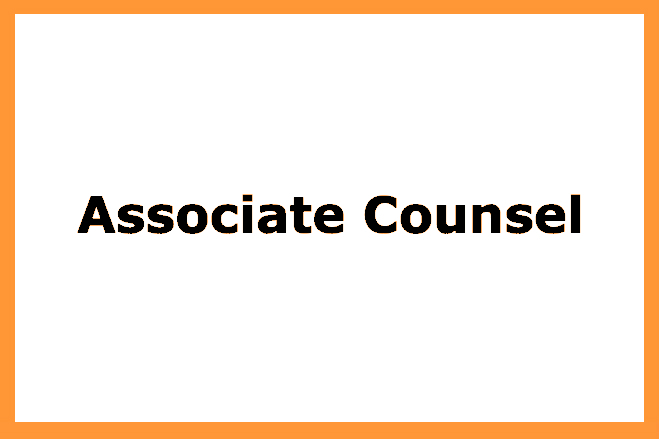 Active member American Immigration Lawyers Association (AILA). Former AILA Texas Chapter Vice-President. Former AILA Texas Chapter Treasurer. Active member USA Wrestling Board of Directors. USA Wrestling Kids Cadet Chairperson. Bachelor of the Arts (Journalism and Spanish), Oklahoma State University, 1988. In 2014 appointed by the Federal Government of Mexico to the position of Consulting Attorney for the Mexican Consulate. Former prosecuting attorney for 12 years in the Oklahoma County District Attorney’s Office. 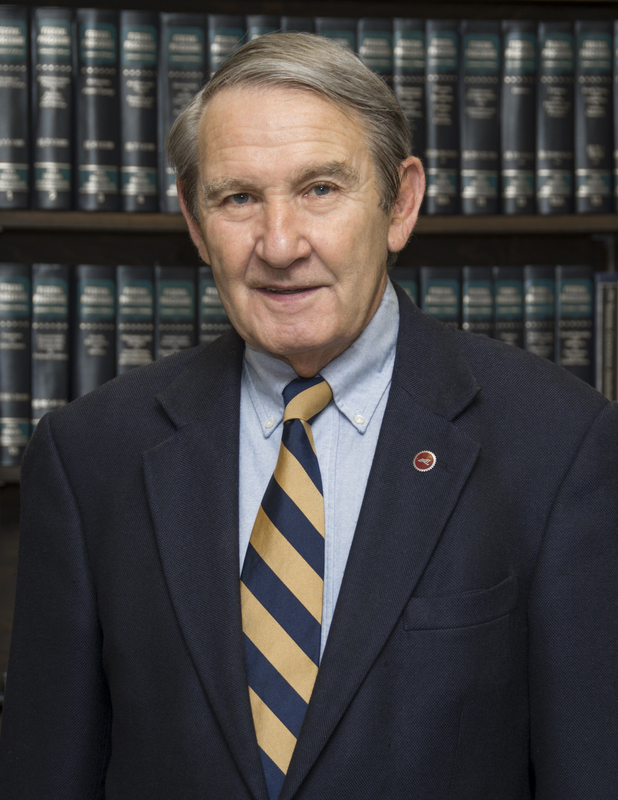 Founder and Chair of the task Force for the creation of the Mental Health Court which was instituted to take the circumstances of substance addicts and the mentally ill into special consideration throughout their judicial proceedings. Taught international business English in Madrid Spain. Former member of the Board of Directors for Girl Scouts, Board of Drug Court, and Board of Mental Health Court. Founding Member of the Juliette Low Society. Recipient of the Distinguished Public Service Citation from the Oklahoma Psychological Association. Innovator of the Year Award for the Mental Health Task Force. Citation of Appreciation from the Oklahoma House of Representatives. 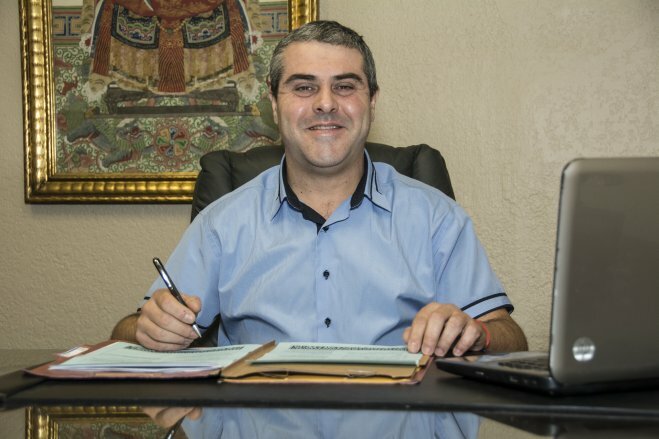 Krasi was born in Bulgaria and is married to Mira, who is also a senior paralegal with our firm. 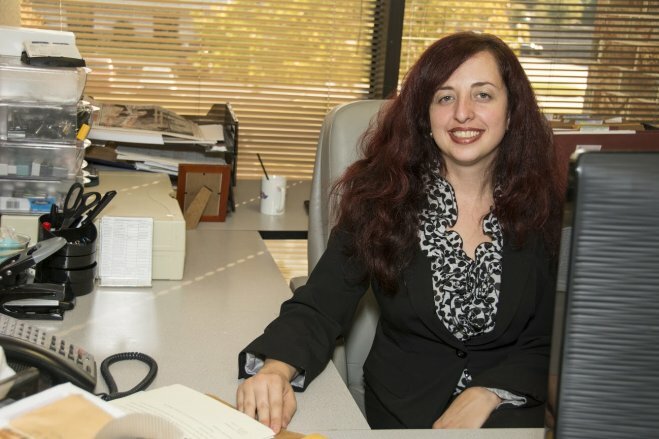 Having personally navigated through the U.S. Immigration system wtih our firm's sponsership, both as nonimmigrants (“F” students and “H” professionals) and immigrants (“green card”), Krasi and Mira have first-hand knowledge and appreciation for the complexities of our U.S. immigration system. While working for our firm they both Mira and Krasi attended and received their LL.M. degrees from the University of Oklahoma School of law. Since joining our firm they have also become the proud parents of their two young sons, Alex and Max. Yolanda practiced law in Peru before immigrating to the United States. In Peru she was certified as a Family Mediator. Besides being an immigrant herself, her background allows her to appreciate how Immigration related stresses can impact not just individuals but the family as a unit. Stefanie was born and raised in England. In England her career was in recruitment and managing high volume accounts. 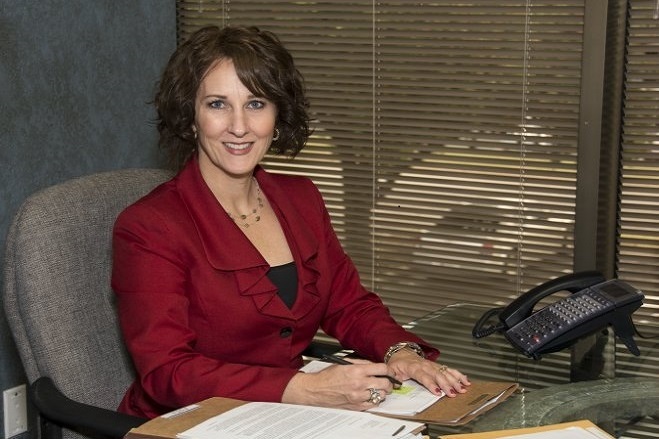 Stefanie devotes much of her time coordinating our physician, nurse, and other health care related clients’, As a former immigrant, Stefanie also has first-hand knowledge and appreciation for the complexities of our U.S. immigration system. Dr. Henley assists with establishing our clients eligibility for various professional visa categories (H’s, L’s, O’s, EB-1&2). Member of the University of Oklahoma’s Graduate Faculty, Health Administration and Policy, College of Public Health. Fellow of the American College of Healthcare Executives. Recipient of OU’s Distinguished Graduate Award. Frequently lectures, consults, and presents papers nationally. Graduate of United States Army War College. Serves on the boards of directors of numerous national, regional, and local organizations. Honorary Counsel of Peru. Serves as Firm’s advisor and liaison with U.S. consular districts within Latin America. Continues to maintain his law firm in Lima to which he commutes regularly. Honorary Consul for Uruguay. Served as an editor of the Columbia Law School Human Rights Law Review. Former Chairman of Oklahoma Health Departments Ethical Practices Committee(eliminated “ghost” employees). Admitted to practice in Oklahoma, Texas and before the U. S. Supreme Court. Practices in the area of Employment-related Immigration Law, including Employer Sanctions and Export Compliance ("Deemed Exports" under EAR & ITAR). The following information is intended to provide a basic framework for complicated U.S. immigration laws and policies. This includes how foreign nationals might legally visit, study, work in, or immigrate to the United States. It is intended for those with limited prior exposure to this specialized area of law. U.S. immigration laws and policies are often complex, illogical, and sometimes contradictory. Family reunification and business-employment enhancement are the basic philosophical foundations for the U.S. immigration quota system. Immigrant visa quota chargebility is based upon the individual's country of birth, not upon the country of present citizenship. There is usually no bias for or against persons from any particular country. Backlogs in quotas for permanent resident status in some categories result merely from emigration demand, either worldwide or from specific countries. Each individual's immigration case is usually unique and the availability of benefits will depend upon each individual's particular circumstances, objectives, nationality, and qualifications. There are several distinctions one should be aware of initially. Persons physically present in the United States are considered either citizens or nationals of the U.S., or they are aliens. There are two classes of legal aliens. Nonimmigrants, who are admitted to the U.S. temporarily, and immigrants who may reside in the U.S. permanently. Immigrants are also referred to as permanent residents or "Green Card" holders. A lawful permanent resident may become eligible for naturalization as a U.S. citizen. This is usually after maintaining lawful permanent resident status for five years (three years if married to a U.S. citizen), providing he or she meets all other statutory requirements. The United States offers asylum and refugee protection to qualified applicants who are unable or unwilling to return to their country of nationality because of persecution or a well-founded fear of persecution. Claims of persecution must be based on at least one of five internationally recognized grounds: race, religion, nationality, membership in a particular social group, or political opinion. The Illegal Immigration Reform and Immigrant Responsibility Act of 1996 ("IIRIRA") also provided that some actions taken under coercive population control programs constitute persecution on account of political opinion. A maximum of 1,000 aliens per fiscal year may be granted asylum or admitted as a refugee under this provision. In addition to asylum and refugee protection, withholding of removal is available to individuals in the United States who can show a likelihood their lives or freedom would be threatened if they were returned to the country in question. Withholding of removal is in some ways similar to asylum, but is governed by a higher standard, requiring applicants to establish that it is more likely than not that they would be persecuted. Unlike asylum, however, once this standard is met, there is no discretion to deny withholding and the applicant may not be returned to that country. 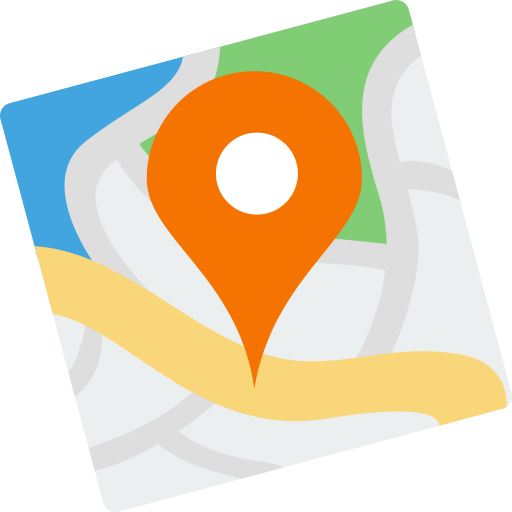 Asylum and refugee applicants are both adjudicated under the same legal standard, but differ in terms of where they are located. The potential asylee is in the United States or applying for admission at a port of entry, and the potential refugee is outside the United States. Aliens in the United States must file an asylum application within one year after the alien's arrival in the United States, unless there exist changed circumstances affecting the applicant's eligibility for asylum, or extraordinary circumstances which justify the delay in filing. People overseas who are eligible for consideration by the U.S. refugee program apply by filing a Registration for Classification as a Refugee. An alien who is in the United States and who is not in immigration proceedings may apply to the U.S. Bureau of Citizenship and Immigration Services ("BCIS") for asylum. Asylum claims filed before an alien is in USCIS physical custody are "affirmative" applications filed voluntarily by the alien. If an asylum officer denies the asylum application of an alien in lawful status, the applicant can reapply for asylum before an immigration judge if he/she is later placed in removal proceedings. Affirmative asylum applicants are not placed in detention while their application is considered. The Executive Office for Immigration Review ("Immigration Court" or "EOIR") has exclusive jurisdiction over the cases of aliens who are placed in removal (deportation) proceedings and then seek asylum. Asylum claims filed before EOIR are "defensive" applications raised in removal proceedings before immigration judges as a defense against removal. Aliens who seek asylum as a defense against removal may be detained for being in the United States illegally until an immigration judge rules on their asylum claim. U.S. law mandates that aliens who arrive at a U.S. port of entry without travel documents or who engage in fraud or material misrepresentation be detained and placed in expedited removal. Aliens who express or indicate a fear of persecution during the expedited removal process receive a "credible fear" interview with an USCIS asylum officer. Aliens found to have a credible fear are referred for ordinary removal proceedings in which they may apply for asylum before an immigration judge. Aliens determined to have a credible fear are detained because they remain in removal proceedings until an immigration judge rules on their asylum claim. USCIS district directors have discretionary authority to parole, or release, an alien in proceedings from detention. In determining whether release is appropriate on a case-by-case basis, district directors must decide whether the alien's release would serve an urgent humanitarian need or significant public benefit and whether the alien has established his/her identity, poses a threat to the community, demonstrates family ties in the community, presents evidence of a credible asylum claim, or poses a risk of flight. Different, more restrictive criteria govern the custody of certain criminal aliens. Access to the U.S. refugee program is not open-ended. To file a Form I-590 application as a refugee, a refugee applicant must first be found to be eligible for a refugee interview. The question of whether applicants are eligible for a refugee interview is governed by their nationality and whether they come under one of the processing priorities used to manage the U.S. refugee program. The designation of eligible nationalities and processing priorities is decided annually. Traditionally, refugee applicants are interviewed in third countries after having fled their country of persecution. Individuals who have fled their country and believe themselves to be at risk if returned should contact the nearest office of the United Nations High Commissioner for Refugees (UNHCR). That office will make a decision as to whether the individuals require protection and where that protection may be provided. The U.S. legal definition of refugee also allows for in-country refugee processing in countries so designated by the President. Issuance of a nonimmigrant visa by a U.S. Embassy or Consulate only permits an alien to travel to the United States. Upon arrival at a U.S. port of entry, a U.S. Immigration and Naturalization Service ("BCIS") official usually inspects and grants the alien permission to enter and stay a certain period of time in the U.S. by endorsing a card called an arrival/departure record, or Form I-94. This USCIS authorized period of stay may exceed the validity date of the alien's visa. Nationals of some countries are not required to obtain tourist or business (B-1/B-2) visas to travel to the U.S. for stays of 90 days or less. Such individuals cannot extend their period of stay or change their status while still in the U.S.
B-1 Temporary Visitor for Business - May be granted for up to 6 months with the possibility of an extension, for up to 6 months. B-2 Temporary Visitor for Pleasure - Same restrictions apply as for B-1. C-1 Alien in Transit - Aliens traveling to another country and temporarily traveling through the United States. D Crewmen - Permitted to stay 29 days; no extensions are permitted. E-1 Treaty Trader, spouse and children - Permits one to conduct substantial trade between the U.S. and home country where one is a national or a citizen. Trade includes services, technology, banking, insurance, transportation, communications, engineering, management consulting, etc. Valid for one year and may be extended. Not all countries have a treaty with the United States. E-2 Treaty Investor, spouse and children - Permits investor and/or certain employees of a qualifying entity to direct and develop the operations of an enterprise where the investor or entity has invested a substantial amount of capital. Such investment may not be made solely to earn a living. Usually valid for one year and may be extended. E-3 Treaty Visa spouse and children - allows for the admission of nationals of the Commonwealth of Australia who are entering to perform services in "specialty occupations." Same definition as an H-1B "specialty occupation." Limited to 10,500 per fiscal year. Spouses and children will not count against the 10,500 cap. The time limits are the same as E-1 and E-2 visas in that they can be renewed indefinitely. F-1 Student - Permits one to pursue a full course of study in university, college, high school, academic institution or language program in the United States. Valid for duration of stay to complete studies, usually up to 8 years. Must initially have sufficient financial support to pay fees and stay without the necessity of working. Special rules permit work off campus under certain circumstances. Spouse and children can apply for F-2 status. (Aliens should usually contact a Foreign Student Advisor at the subject institution for more detailed information). H-1B Specialty Occupation - Permits certain persons in specialty occupations to work when the person possesses the credentials necessary to enter those specialty occupations. H-2A Agricultural Worker - Permits temporary workers performing agricultural labor or services of a temporary or seasonal nature to work. Requires a temporary labor certification (very complicated); may be granted for an initial period of one year; extensions may be granted in increments of one year for a maximum of 3 years. H-2B Temporary Services of Labor - Permits temporary non-agricultural workers performing other temporary services or labor to work in the United States. Same rules as H-2A. Limit 66,000 visas per year. J-1 Exchange Visitor - Permits admission of trainees, students, scholars, professors and researchers who participate in a designated exchange program. Usually permits one to complete degree plus 18 months for practical training. May require 2 years foreign residency before alien can qualify for permanent residence. Spouse and children qualify for J-2 status and are subject to any foreign residency requirements. A waiver of the foreign residency requirement may be available. K-1 Fiancé(e) of United States Citizen - Permits admission to one coming to the United States to marry U.S. citizen who has met such person within the last 2 years. Must be married within 90 days after entry. Alien must adjust status in the United States, and is granted conditional status. Minor children can obtain K-2. L-1 Intracompany Transferee - Permits international firms and corporations with operations abroad to transfer employees of the same organization within the last 3 years to the United States as managers, executives or persons with specialized knowledge who continue to work in the same capacity. Usually authorized to stay 5 years if specialized knowledge, 7 years for managers and executives. M-1 Nonacademic Student - Permits admission to vocational students; similar to F-1; cannot change educational objectives; cannot work. Admitted for duration of stay to complete course + 30 days. Spouse and children can obtain M-2. O-1 Aliens of Extraordinary Ability in Arts, Sciences, Education, Business or Athletics - Alien should benefit the United States, and will be authorized to stay to complete such service. O-2 Permits admission to aliens who assist 0-1 - 0-3 is available to family members. P-1 Performing Artists, Athletes, Famous Entertainment Groups and Teams Internationally Known - Admitted for 5 years, and limited to 25,000 visas per year. P-3 Includes artists and entertainers who perform cultural programs. Q International Cultural Exchange Visitor. V Certain Beneficiaries of LPR petitions pending 3 years or more. There is no such thing as a "work permit". Citizens, nationals and lawful permanent residents are authorized to be employed in the United States. Certain non-immigrant visa categories include, as an incident of the visa, authorization to be employed in the United States. The USCIS does issue certain non-immigrants "Employment Authorization" (EAD) cards. An immigrant visa is a visa which authorizes a person to immigrate to the United States during its four-month period of validity. As with non-immigrant visas, visa issuance does not guarantee admission to the U.S. There are, however, certain waivers available to returning residents which are not available to other aliens seeking to enter the United States. Aliens in the United States or at a port of entry who are unable or unwilling to return to their home country because of a well-founded fear of persecution on the basis of race, religion, nationality, political opinion, or membership in a particular social group may be granted asylum. Such aliens are often referred to as "asylees". Within the numerical limitation system there are three separate limitations: (1) There is an absolute cap of 700,000 visas per year; (2) There is an annual cap of 25,650 visas per year for each independent country and 7,320 visas per year for dependent territories; and (3) There are percentage limitations within the system of preference categories. The immediate relative category is one of the most important immigrant visa groups exempt from numerical limitations. Its obvious purpose is to promote the unity of families of U.S. citizens. The present statute excludes from numerical restrictions the "immediate relatives" of U.S. citizens. However, while there is no limit to the number of visas issued to immediate relatives (currently about 250,000 annually), the number of visas issued to immediate relatives is counted as part of the 480,000 annual allotment for family-sponsored immigration. Increases in immediate relative visas will reduce the number of visas available for the numerically-limited family preference categories until those groups' share of the family-based immigrant visas falls to 226,000. When that "floor" is reached, further reductions in the preference groups' share of the family-based visas will end. First Preference -(1) Unmarried sons and daughters of U.S. citizens; 23,400 visas per year. Second Preference - (2)(A) Spouses and minor children of permanent residents; 86,934 visas per year. (2)(B) Unmarried sons and daughters of permanent residents; 27,266 visas per year. Total of 114,200 visas per year plus any unused visas above the 226,000 family preference minimum. 77% of all second preference numbers are to be made available to spouses and minor children and 75% of the numbers for spouses and minor children are to be made available without regard to the per-country ceiling. Third Preference - (3) Married sons and daughters of U.S. citizens; 23,400 visas per year plus any unused visas from the first two family preference categories. Fourth Preference- (4) Brothers and sisters of adult U.S. citizens; 65,000 visas per year plus any unused visas from the first four preference categories. A priority Worker Visa can be any one of 3 subgroups which provide 40,000 visas per year and where no labor certification is required. (A) Aliens with Extraordinary Ability in the Arts, Sciences, Education, Business, or Athletics which has been demonstrated by national or international recognition or extensive documentation. Such aliens can sponsor themselves; they must come to the U.S. to work in such area; and their work in the U.S. must benefit the U.S.
(B) Outstanding Professors and Researchers. Such aliens must be internationally recognized in a specific area, have at least 3 years' experience in teaching or research, and be offered a permanent teaching or research position. Researchers must work for an employer who employs at least 3 persons in research. (C) Multinational Executives and Managers. 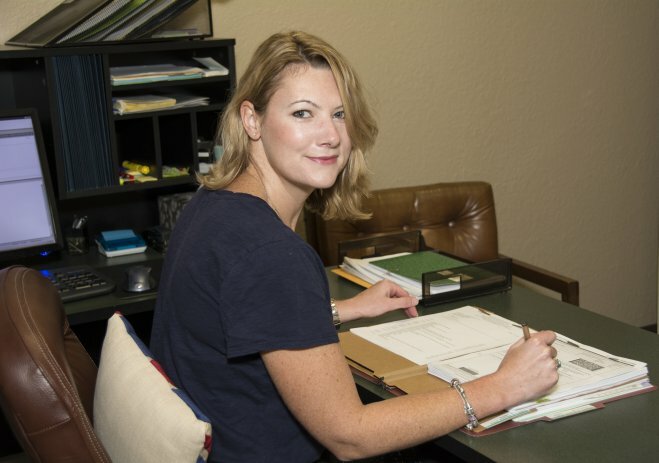 If an alien has been employed by the same petitioning employer for at least one of the last 3 years and such alien will work in the U.S. in a managerial or executive position (which is a definitive and complicated definition), in such circumstances the same petitioner can file on behalf of the alien. Presumably any alien on an L-1 visa who qualified for the L-1 based upon managerial or executive duties under the old Schedule A, Group IV could qualify. 40,000 visas per year, plus any unused visas from EBP #1 above are allocated for such aliens. A professional with a bachelor's degree and 5 years experience would also meet the requirements of an advanced degree. A person of "exceptional ability" under strict standards defined by the USCIS can also qualify. Persons under either category must be sponsored by an employer and must have an approved labor certification unless they can obtain a "National Interest Waiver" of the labor certification requirement. Persons of exceptional ability must illustrate they will benefit the economy, the cultural or educational interests, or the welfare of the U.S.
(ii) Professionals - members of the professions who hold bachelor's degrees. Does not permit experience to be used as equivalent of a bachelor's degree. (iii) Other workers including unskilled workers (No more than 10,000 visas per year can be issued for unskilled workers.) Any qualifying alien must be coming to the U.S. to perform unskilled labor for which qualified workers are not available. d. Certain international organization aliens. d. Such commercial enterprise will benefit the U.S. economy. c. 10 employees were hired, the investment was funded, and the business is viable. The regulations and their interpretations are varied; however, any good business investment with the foregoing parameters could result in immigration benefits. Most persons coming to the United States as Employment Based Preference ("EBP") #2 or #3 aliens must obtain an alien employment certification, more commonly known as a "labor certification". An exception for EBP#2's can be requested based upon a "National Interest Waiver" The certification is from the Secretary of Labor to the Secretary of State and the Attorney General that (1) there are not sufficient United States citizens or lawful permanent resident workers able, willing, qualified, and available at the time of application for a visa and admission to the United States and at the place where the alien is to perform such skilled or unskilled labor, and (2) the employment of such aliens will not adversely affect the wages and working conditions of workers in the United States similarly employed. The labor certification process is complex, time-consuming, and the results uncertain. It should also be noted that individual labor certifications are generally not available to investors through business in which they have invested or own stock. In 1996 the 104th Congress passed the Illegal Immigration Reform and Immigrant Responsibility Act ("IIRAIRA"). EXPEDITED REMOVAL: IIRAIRA created a new expedited removal process in effect at all U.S. ports of entry. Under this expedited process, persons attempting to enter the U.S. with fraudulent documents or no documents can be summarily removed from the U.S. by an Immigration and Naturalization Service (BCIS) inspector at the port of entry. Additionally, persons who attempt to enter by “mis-representation” also may be removed. The decision of the USCIS inspector is reviewed by his or her supervisor, but IIRAIRA explicitly limits judicial review of the BCIS’ decision to remove the applicant. In addition, a person subject to expedited removal can be barred by the USCIS officer from reentering the U.S. for a minimum for five years, and possibly permanently. Certain aliens who have committed an "aggravated felony" are also subject to removal in expedited administrative proceedings. BARS TO ADMISSIBILITY: IIRAIRA created new bars to admissibility to the U.S. for people who have been unlawfully present in the U.S. for six months or longer. Under these new provisions, anyone who tries to enter the U.S. who has previously been in the country unlawfully for more than 180 days but less than one year, will be barred from reentering the U.S. for three years. Anyone who is in the U.S. unlawfully for one year or more will be barred from reentering for ten years. The period of unlawful presence in the U.S. only starts to count on and after April 1, 1997, the date of enactment of IIRAIRA. Only very limited and narrow waivers and exceptions to these bars to admissibility exist. The Immigration and Nationality Act now provides that an alien is inadmissible as an alien likely to become a public charge if the alien is seeking an immigrant visa, admission as an immigrant, or adjustment of status as: (a) An immediate relative, (b) a family based immigrant, or (c) an employment based immigrant, of a relative if the alien is the petitioning employer or owns a significant ownership interest in the entity that is the petitioning employer. To overcome this ground of inadmissibility, the alien must be the beneficiary of an affidavit of support filed under the new section 213A of the Act. Section 213A of the Act specifies the conditions that must be met in order for an affidavit of support to be sufficient to overcome the public charge inadmissibility ground. Form I-864, Affidavit of Support Under Section 213A of the Act, is a legally enforceable contract between the sponsor and the Federal Government, for the benefit of the sponsored immigrant and of any Federal, State, or local government agency or private entity that provides the sponsored immigrant with any means-tested public benefit. The sponsor must sign the Form I-864 before a notary public or a United States Immigration Officer or Consular Officer. By executing Form I-864, the sponsor agrees to provide the financial support necessary to maintain the sponsored immigrant at an income that is at least 125 percent of the Federal poverty line, unless the obligation has terminated. The sponsor also agrees to reimburse any agencies which provide means-tested public benefits to a sponsored immigrant. The sponsor must, under civil penalty, notify the Service and the State(s) in which the sponsored immigrant(s) reside of any change in the sponsor’s address. Form I-864 must be executed on behalf of any accompanying or following to join spouse or child under section 203(d) of the Act, if they are filing application for immigrant visas or adjustment of status after December 19, 1997 in a classification for which an affidavit of support is required. Section 213A(f)(1) of the Act sets forth the requirements to be a sponsor. The individual executing the for I-864 must be a citizen or national of the United States or a lawful permanent resident of the United States, be at least 18 years of age, be domiciled in the United States or any of its territories or possessions, and demonstrate the means to maintain an income of at least 125 percent of the Federal poverty guideline (100 percent of the poverty guideline for sponsors on active duty in the Armed Forces of the United States who are petitioning for their spouse or child). Because the sponsor has an obligation to support the sponsored immigrant(s) at or above 125 percent of the poverty line, for purposes of the Form I-864, the sponsor’s household size is increased by the number of immigrants sponsored in the affidavit of support. This applies to all affidavits of support under section 213A of the Act, regardless of whether the sponsored immigrant(s) will be living in the same residence as the sponsor. In order to meet the income threshold, the sponsor may rely on his or her own income, the income of his or her spouse, and the income of any other individuals who are related to the sponsor by birth, marriage, or adoption and have been living in the sponsor’s residence for the previous 6 months or who are listed as dependents on the sponsor’s most recent income tax return. In order to rely on the income of these other persons, however, the sponsor must include with the affidavit of support a written contract o Form I-864A, Contract Between Sponsor and Household Member, between the sponsor and each person whose income the sponsor will rely on to meet the income threshold. This written contract will provide that each person whose income the sponsor will rely on has agreed, in consideration of the sponsor’s signing of the Form I-864, to assist their sponsor in supporting the sponsored immigrant(s), to be held jointly and severally liable for payment of any reimbursement obligation that the sponsor may incur, and to submit to the personal jurisdiction of any competent court. Federal individual income tax returns for the 3 most recent tax years must be attached to the Form I-864 for each individual whose income is used to qualify. These individuals must certify on Form I-864A, under penalty of perjury, that any attached tax returns are true and correct copies of the returns as submitted to the IRS. If any of these individuals has no legal obligation to file a Federal income tax return for any of the 3 most recent tax years, he or she must explain his or her failure to file and provide other evidence of annual income. The sponsor and any other individual whose income is used to qualify must also submit current evidence of employment of self-employment (if any). After calculating household income, the sponsor must determine whether his or her total income level meets or exceeds the poverty guidelines, based on the applicable household size, including family members residing with the sponsor, dependents, and any immigrants sponsored in the Form I-864 being filed or in a previous Form I-864 where the obligation has not terminated. There may be instances in which an Immigration or Consular Officer may question the sponsor’s ability to maintain income based on the sponsor’s current employment situation, on the Federal income tax returns for the 3 most recent tax years, or on receipt of welfare benefits. If the petitioner is unable to demonstrate the means to maintain income equal to at least 125 percent of the poverty line, the intending immigrant is inadmissible under section 212(a)(4) of the act, unless the petitioner and/or the sponsored immigrant(s) demonstrate significant assets which are available for the support of the sponsored immigrant(s) or a joint sponsor also executes a Form I-864. In order to be a joint sponsor, the individual must execute a separate Form I-864 and must accept joint legal responsibility with the petitioning sponsor and have an income and/or assets, based on his or her household size, including dependents and the number of persons previously and currently sponsored on Form I-864, which meets or exceeds 125 percent of the Federal poverty line. Because section 213A(f)(6)(A)(ii) of the Act specifically permits the sponsor to rely on the assets of the immigrant sponsored in the affidavit of support being filed, the sponsored immigrant is not required to sign for I-864A in order for the Consular Officer or Immigration Officer to consider the sponsored immigrant’s assets. To reiterate, a sponsored immigrant who is a member of the sponsor’s household is required to sign a for I-864A only if the sponsor will rely on that sponsored immigrant’s income to show the sponsor’s ability to support a spouse or child immigrating with the sponsored immigrant. The Immigration Service has determined that assets must be sufficient to support the intending immigrant(s) for at least 5 years, if necessary. Under section 403(a) of the Personal Responsibility and Work Opportunity Reconciliation Act of 1996, Public Law 104-194, any alien (with certain exceptions) who obtains lawful permanent resident status after enactment is ineligible for any Federal means-tested public benefit for a period of 5 years. 5 years is also the general residency requirement to qualify most immigrants for naturalization. Every employer and new employee must complete and sign Parts 1 and 2 of Form I-9, called Employment Eligibility Verification. (one document each from List B and C is sufficient). Every employer must complete Part 2 of Form I-9 after being furnished a document from List A (only) or documents from List B and C. In addition, each employer must sign Part 2 under penalty of perjury verifying Form I-9. Form I-9 must be kept by the employer for 3 years after the date of hiring or for one year after the employment is terminated, whichever is later. Every employer must furnish Form I-9 for inspection to any USCIS or Department of Labor officer within 3 days after such a request is given to the employer. They knowingly hire an unauthorized alien. They hire anyone without verifying employment status, within the first 3 days of employment. After hiring anyone in accordance with the new law, they continue that employment knowing one is or has become unauthorized to work. They obtain the services of an alien by contract, subcontract, or exchange knowing the alien is unauthorized to work. Any persons who provide labor to you who are employed by a contractor providing contract services or persons who are truly independent contractors (a narrow definition of "independent" is stringently applied). Employers can comply with the verification requirements of Form I-9 if a document "reasonably appears on its face to be genuine". Employers are authorized, but not required, to make copies of documents examined. EMPLOYER VIOLATION - Hiring or continuing to employ unauthorized employees. 1st Violation - A fine of no less than $250 nor more than $2,000 for each unauthorized employee. 2nd Violation - A fine of not less than $2,000 nor more than $5,000 for each unauthorized employee. EMPLOYER VIOLATION - Failure to complete, maintain or produce Form I-9 when requested. 1st Violation - A fine of not less than $100 nor more than $1,000 for each employee. In determining penalties, consideration will be given to the size of the business, good faith efforts to comply, seriousness of the violation, and whether it involves unauthorized employees. EMPLOYER VIOLATION - Employers who require the employee to indemnify the employer against liability may be fined $1,000 and ordered to make restitution. EMPLOYER VIOLATION - Engaging in a pattern or practice of violating the law - fine of $3,000 per employee and/or 6 months imprisonment. EMPLOYER VIOLATION - Engaging in fraud, false statements or misusing visas, permits or identity documents - fines and imprisonment up to 2 years. All employers should have procedures to insure proper completion, maintenance and retrieval of Form I-9 for any employees hired since November 7, 1986. USCIS officers have no right to enter an employer's private premises without a valid arrest or search warrant issued by a federal judge or magistrate, unless the employer consents. An employer's normal duty to present I-9 forms after three days' advance notice does not include other documents, such as payroll lists or tax records. Neither the employer or the employees are required to answer any USCIS officer's questions. It is a crime to lie to federal officers or to make false statements on I-9 forms. Right to request release from custody on bond or personal recognizance. Some exceptions are certain aggravated felons, individual deemed a danger to the community, and/or flight risk. If you are in the custody of the USCIS and your immigration status is questioned, the USCIS may ask you to sign a voluntary departure statement and waive your right to a hearing. You may be eligible to request a deportation-removal hearing before an Immigration Judge. Administrative Voluntary Departure - is when you agree to leave the United States voluntarily without a hearing. If you want to request political asylum in the United States. Right to Attorney - You have the right to be represented by an attorney at your own expense at the deportation-removal hearing. If you request a hearing, you must await the date of the hearing while you remain in the custody of the USCIS unless you are released on personal recognizance or bond. Right of Appeal - If an immigration judge orders that you be deported, you have a right to appeal that decision to the Board of Immigration Appeals (BIA) in Washington D.C., and thereafter to a federal court. You also have the right to remain in the United States while your appeal is pending. Adjustment of status to permanent resident - While under an order of deportation-removal, a person who is eligible may apply for this relief. Continuous residence in the United States for ten years. "Exceptional and extremely unusual hardship" to your U.S. citizen or lawful permanent resident spouse, parent or child. Asylum - Must normally apply for during first year after entry into the United States. The financial means to depart the United States. If your voluntary departure request is granted, an immigration judge will allow you a certain period of time within which to depart from the United States. Failure to leave within the specified time automatically reinstates the order of deportation. However, a request for extension of the date of voluntary departure may be made to the USCIS District Director. NOTE: It is always better to avoid formal deportation-removal when possible, because it will bar your legal re-entry into the United States for up to five years or more, unless you are able to obtain prior special permission from the U.S. Attorney General. Such illegal re-entry may subject you to a felony criminal prosecution. "A good immigration lawyer is worth his weight in gold." Director of the USCIS Western Service Center. "Immigrants represented by lawyers in U.S. immigration courts were 17 times more likely to win their case." Los Angeles Times Survey. "Immigration is a mystery and a mastery of obfuscation, and the lawyers who can figure it out are worth their weight in gold." USCIS spokeswoman Karen Kraushaar Washington Post. The ideal time to seek legal assistance is before any documentation has been filed with a government agency. When an immigration benefit has already been denied, it is either difficult or sometimes impossible to obtain a favorable decision on appeal. A competent immigration lawyer can analyze and advise you what your legal options are, the consequences of exercising them and how to best proceed. By first obtaining competent legal assistance, you should save time, money and frustration while insuring the best possible outcome. It is our policy to conduct an initial consultation for each and every potential client. You will be advised in advance of the cost, if any, for this initial consultation. After evaluating your matter, we will discuss our fees should you be interested in our representation. 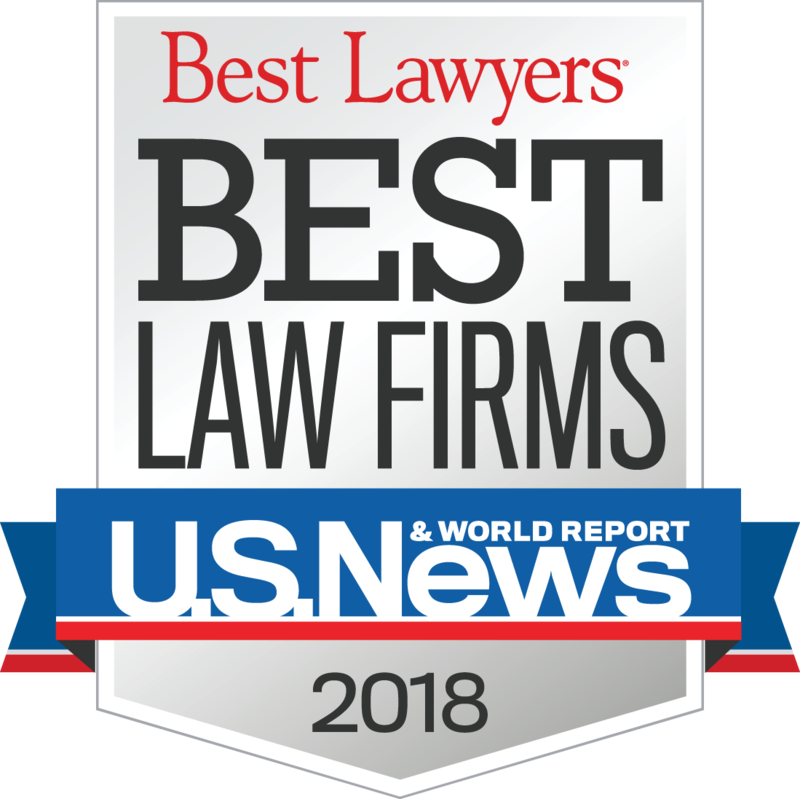 The Best Lawyers in America is the premier worldwide reference publication for ascertaining a U. S. lawyer's exceptional professional rating in specific areas of law. Fewer than two percent (2%) of more than 14,000 Lawyers who claim to practice “immigration” law in the U. S. are selected as the "best". A "Best Lawyer" recommendation is based on extensive surveying of the top attorneys in each relevant field of law. Interviews begin with the following question: "If a family member or close friend needed a lawyer and you couldn't take the case yourself -- for reasons of conflict or in the interest of time -- to whom would you refer them?" So when the publisher designates a lawyer as "the best," it isn't just their opinion. That lawyer is the consensus choice of other top lawyers in the United States. Both Mr. Winningham and Mr. Stein are currently designated as “best” immigration lawyers and have been for many years. Our firm has likewise been designate as a top tier immigration law firm. Some individuals may initially be content to obtain “cheap” legal representation, but this often changes to anger and frustration when the result is a failure. The often quoted truism, "you should only expect to get what you pay for" applies when choosing a lawyer. However, one should expect the cost of quality legal representation to be reasonable. Regardless, payment of a reasonable fee alone does not ensure you will receive quality legal representation. You must first make an informed intelligent choice among the many who claim to be either a good, superior, or even among the “best’ immigration lawyers. There is another saying worth recalling. “Some doctors mistakes result in funerals, but an immigration lawyers are merely deported”. 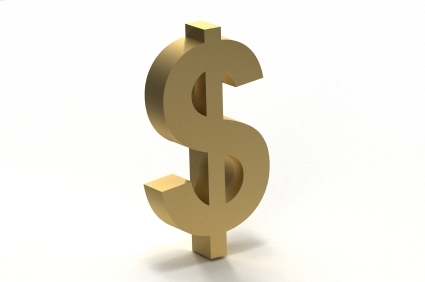 Legal fees do not necessarily vary among lawyers depending upon their experience and legal skills. We find our fees can often be substantially less than those charged by lawyers with very minimal experience, resources and untrained support staff. It is our policy to conduct an initial consultation for every potential client. You will always be advised in advance of the cost, if any, for this initial consultation. After evaluating your matter, we will discuss our fees should you be interested in our representation. No one can guarantee the ultimate success of any immigration matter, and beware of anyone who attempts to do so. 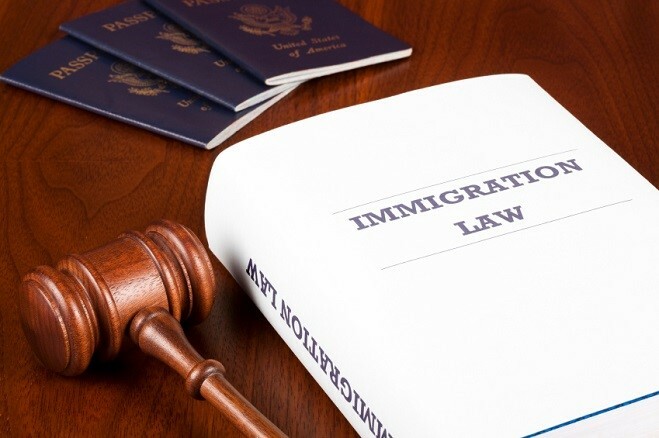 U.S. Immigration law is one of the most complex areas of American jurisprudence. The multitude of administrative regulations and federal statutes which control U.S. immigration are not only complex and constantly being amended, they are subject to changing interpretations of the U.S. Departments of Homeland Security, Justice, Labor, and State, as well as many federal court decisions. For over 40 years we have represented thousands of clients before U.S. related immigration agencies (USCIS, ICE, CBP, DOS, DOL). Thus we have developed a high degree of competency in the field. As a result our proprietary procedures and information technology enables us to process our client’s immigration cases very efficiently. This in turn allows us to charge relatively modest fees compared to many claiming to be “immigration” lawyers. 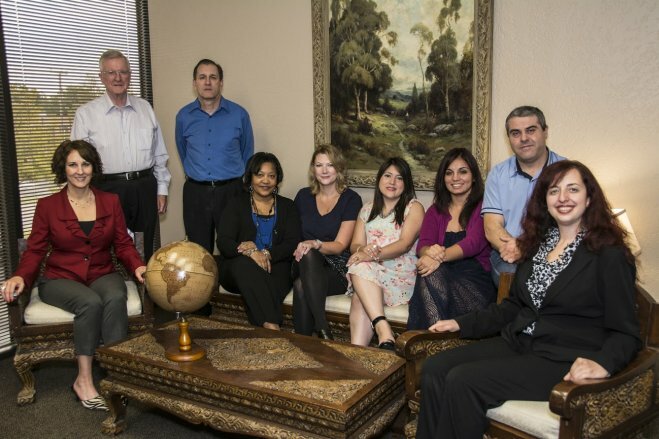 All of our paralegal staff were lawyers in their own countries before immigrating to the U.S. Thus all have personally navigated our complex Immigration system. The quality of our representation is attested to by clients and our ranking as one of the few top tier Immigration firms by the US News and World Reports and Best Lawyers in America. How we set a fee? Rather than bill an hourly rate we almost always can a set a "flat fee" for our services after evaluating an individual’s objective and circumstances. A flat fee allows the client to know what the fee will be up front without having to worry that an initial hourly estimate might eventually turn out to be much higher than estimated. Actual costs, such as postage, copies, filing fees are billed separately as incurred. Because such flat fees are customized for each client it is impossible for us to quote a fee before evaluating each matter. We do not charge a fee for most initial client consultations. You can be certain we will never do anything that will result in any charge to you unless and until we quote a fee and you agree to it in advance. In order to address most inquiries, a personal consultation will normally need to be conducted. Should you wish to request an initial consultation, please complete our initial consultation form which you can access here. 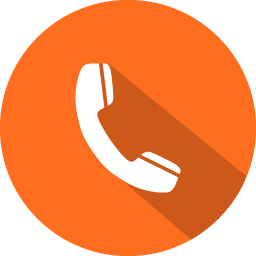 After reviewing this information, should the matter qualify under our normal free 30 minute initial consultation policy, we will contact you to schedule a mutually convenient time to conduct the consultation. Should it not qualify for a free consultation because of its nature and/or complexity, we will inform you what fee we would charge should you still desire an initial consultation.